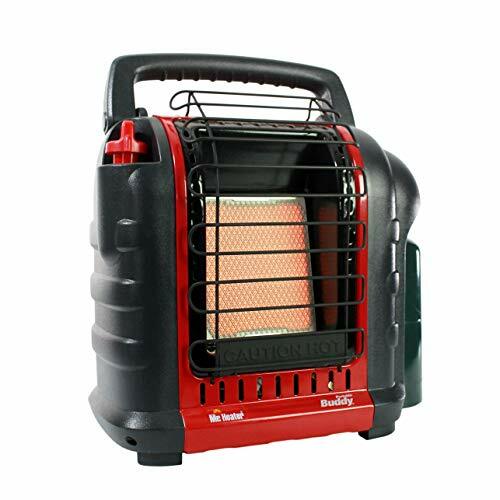 Perfect for gas logs, garage heaters, gas stoves and wall mounted heaters. 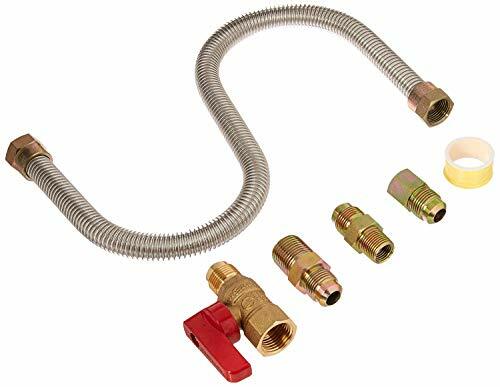 Size: 3/8 inch, Compatible With: Heaters, logs, ranges, dryers, etc., Product Type: Connection kits, Fuel Type: Propane/natural gas. 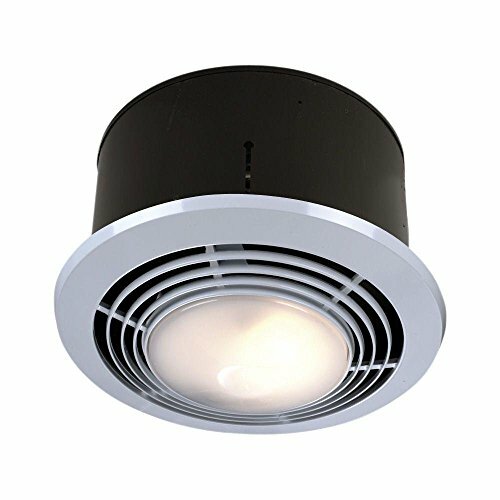 Fan-forced ceiling heater disperses heat evenly from a unit that extends only 2-3/4 from the ceiling. 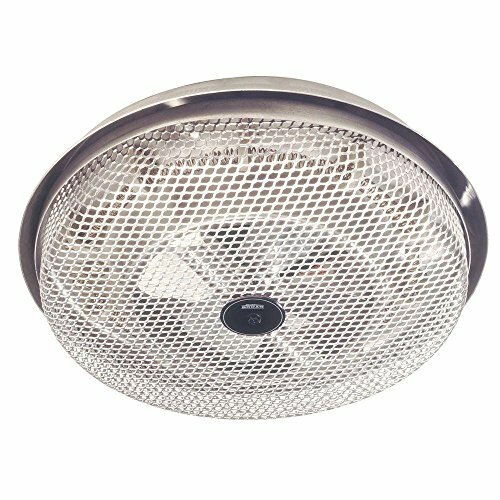 Add extra instant heat to a room with the Broan 157 low-profile solid wire element ceiling heater. 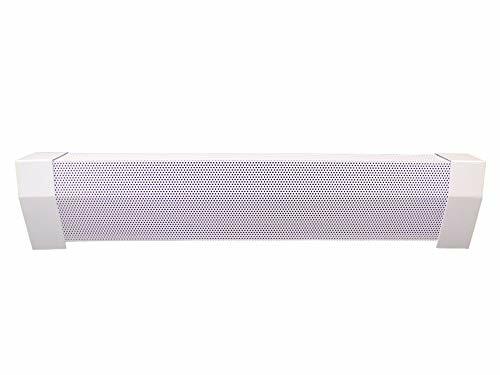 It features an enclosed, sheathed, long-life element that diffuses heat throughout the room and a low-profile housing with satin-finish aluminum grille that extends only 2-3/4 inches from ceiling. Other features include automatic overheat protection, a permanently lubricated motor, and UL listing for reliable, safe operation. You can control operation with a selection of Broan of wall controls (sold separately), including the 86W line-voltage thermostat, 59W/59V 60-minute timer, and 61W/61V 15-minute timer. See larger image. Why Spot Heating Makes Sense in Your Home You hastily get ready every morning, head for work, the office, or school, just when the central heating system has finished warming the entire house. It's about as inefficient as it gets. Spot heating solves that problem. No longer will you heat an entire home when you simply need a bit of comfort in the bath or dressing room, or any other room. Efficient Heating Element Even the most efficient central heating systems send heat up the chimney. But Broan spot heaters deliver every bit of energy back into your home. There's no external venting, so the electricity you convert to heat is delivered directly where you want it. Simple, Safe, and Efficient. Permanently lubricated motors are quiet and require no maintenance. They can be operated by a built-in adjustable thermostat or an optional wall-mount controller. Heaters may be converted in the field to a choice of wattages/voltages. And for safety, heaters are thermal overload protected and the complete heater assembly conveniently removes from the housing for cleaning. About Broan-NuTone In 1932, Henry Broan developed and manufactured a kitchen fan called the Motordor Fan that provided quiet and efficient kitchen ventilation. Today, Broan-NuTone leads the industry with forward-thinking residential ventilation products, customized climate, communications and storage solutions and superior customer service. The Broan brand focuses on range hoods, ventilation fans, heater/fan/light combination units, Indoor Air Quality (IAQ) fresh air systems, built-in heaters, whole-house fans, attic ventilators and trash compactors, while the NuTone brand offers door chimes, central vacuum systems, stereo intercom systems, medicine cabinets, ironing centers, ceiling fans and ventilation fans. 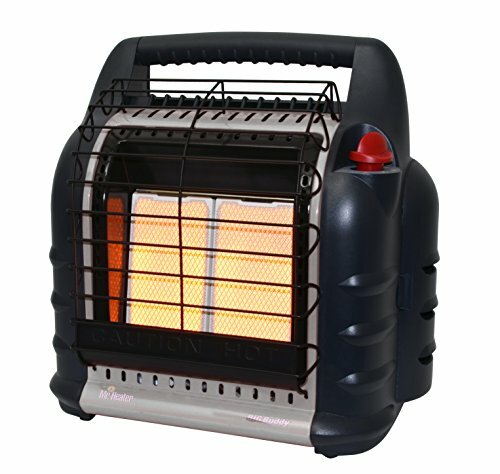 The Ontel Handy Heater is made for your convenience. The personal heater can be plugged into any outlet for quick and easy heat. It says cool to the touch, and it s compact design allows you to have warmth and comfort wherever you d like. The digital temperature display and programmable 12-hour timer makes it easy to adjust to your ideal temperature, so you can feel comfortable and warm in your space. 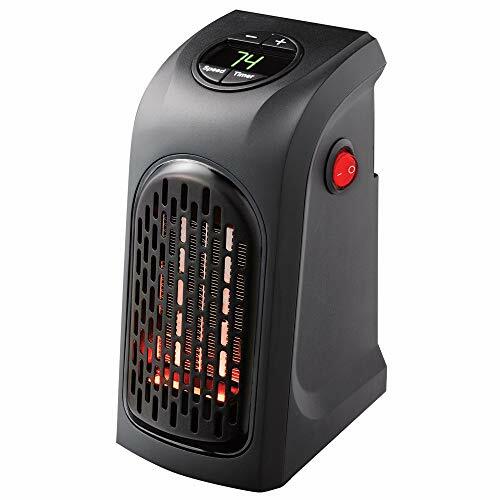 COMPACT DESIGN: Have warmth and comfort wherever you like to relax - the Handy Heater's compact design allows to travel with you wherever you'd like to keep warm. COOL TO THE TOUCH: The Handy Heater stays cools to the touch, so no worry about accidentally touching it and getting burnt! It's hassle and worry free in any environment. If you have rooms that don't get enough heated air from your furnace in the winter, or enough cool air from your air conditioner in the summer, the Suncourt Flush Fit Register Booster is an easy-to-install, cost-effective way to boost airflow and make those rooms more comfortable. 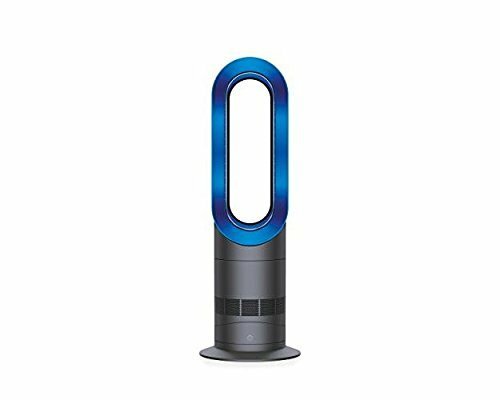 It allows you to balance the temperature by automatically increasing circulation to rooms that are too hot or too cold. It uses less energy than other circulation solutions. It is thermostatically controlled to operate automatically with heated air from a forced-air furnace, or cold air from an air conditioner. The low profile unit sits in a standard 4" x 10" register boot for a clean, contemporary appearance. The unit is available in two colors: white or brown. It plugs into any standard outlet, and an additional adapter unit is available for wall register openings up to 6" x 12". 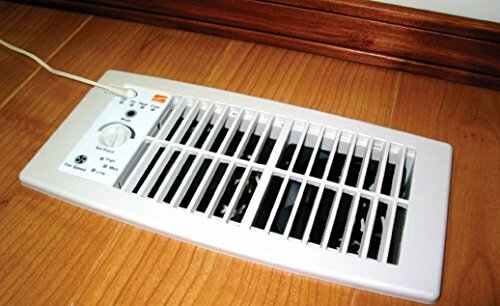 MAXIMIZE AIRFLOW - Enhance the performance of your existing furnace or air conditioner by boosting airflow up to 85%. Enhance your airflow--and comfort! SAVE MONEY: Maximize the heating or air conditioning from your forced-air system with a minimum increase in energy use. Unit continues to run after your forced-air shuts off, pulling every bit of heat or cold air into your home. QUIET OPERATION: Quiet, 3-speed dual fans increase airflow without excess noise. EASY INSTALLATION: This unit drops directly into a standard 4 x 10 register without any modification. Optional adaptor available to purchase for wall installation. SET AND FORGET: Unit automatically switches on when airflow is sensed. All you have to do is set the fan speed and desired temperature. 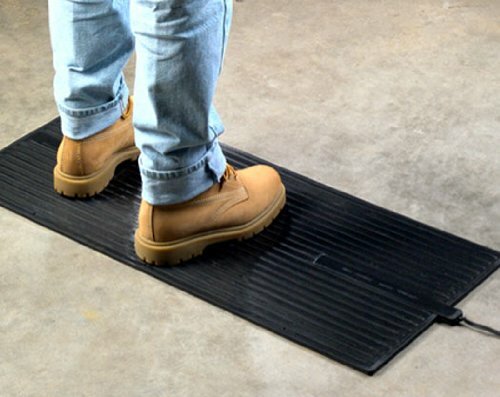 These innovative heated floor mats are made of thick insulated rubber. Radiant heat warms your feet and your whole body. This heated floor mat will also help reduce high electricity costs - it is ten times more efficient than a traditional space heater. Power consumption: about 100 Watts (draws no more power than a lightbulb, costs pennies a day). It is also much safer than a space heater. No carbon monoxide risk. Completely waterproof, including cord attachment into mat. Made of waterproof, sealed and insulated rubber. ETL listed/certified. Does not emit electromagnetic interference (EMI). 6 foot electrical cord with polarized, two-conductor plug (will fit into wall socket only one way). No built-in ON/OFF switch; just plug in/unplug or use a power strip with a switch. 130 - 135 degrees surface temperature. This mat is portability too. Take our foot warmer with you wherever you go. Direct, gentle heat is perfect in chilly basements, garages, porches, or attics. Also ideal for parking or auto garages, farm buildings or barns, security or toll booths, check-out counters or any unheated areas of a workplace. Excellent for drying wet shoes, boots or socks. The mat dries the shoes or socks so they are warm and comfortable for later use. No more wet or moldy-smelling shoes. Children, house guests, gardeners, and rain-soaked homeowners will appreciate this handy dryer. Note: Do not use on wood floors as permanent wood discoloration or damage may occur. Do not use on carpeting without an insulating layer such as cardboard between the mat and the carpeting. For baseboard radiator heaters, our three foot long EZ Snap Covers feature a white powder coating on galvanized steel for modern and contemporary style in your home. EZ Snap Covers snap in directly over your old existing baseboard heater wall plate with quick and easy installation requiring only five minutes. What's more, we've pioneered the EZ Safe Edge to make installation safer for all customers. EZ Snap Covers will never rust and are made in the USA. This EZ Snap Covers three foot long kit is used for middle of the wall application. This kit includes one cover, one closed left end cap and one closed right end cap. Mounting brackets sold separately. EZ Snap Covers are 20 gauge galvanized steel with white epoxy powder coating. They are guaranteed never to rust and are 18% thicker steel than all comparable baseboard heater covers. End caps are 18 gauge thickness. Our covers fit 95% of all existing hot water baseboard radiator heaters. Installation takes five minutes, requires no power tools, and saves you on pricey contractor bills. Available in 3, 4, 5, 6 and 7 foot lengths, which can be cut to size using a jigsaw and fine tooth metal cutting blade to cut your covers to your exact measurements. The longest length we can ship is 7'. Lengths over 8' include a coupler to join the panels together. 8' will be 2 4' covers and a coupler, 9' is 1 4' and 1 5' cover and a coupler; 10' is 2 5' covers and a coupler, 11' is 1 5' and 1 6' and a coupler; 12' is 2 6' covers with a coupler; 13' is 1 6' and 1 7' and a coupler; 14' is 2 7' covers and a coupler. EZ Snap Covers have a lifetime warranty against rust. If they rust, send them back and we will replace them. 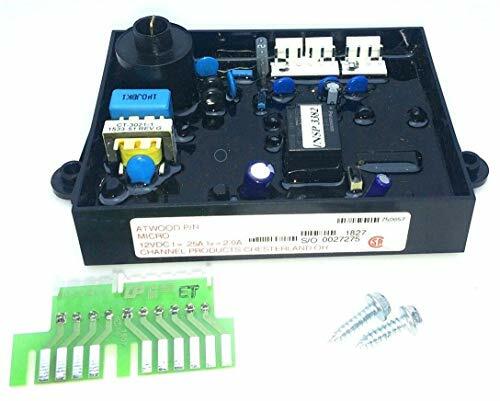 Replacement Circuit Board with Fuse, Large, Potted (Spade Electrode Connection) (REPLACES: AT93851). This part is associated with Model Series: G9-EXT; G16-EXT; GC6AA-10E; GC10A-4E; GCH6A-10E; GCH10A-4E; GE9-EXT; GE16-EXT; GEH9-EXT; GEH16-EXT. NOTE: This COMBO Board controls BOTH the LP ignition and the Electric Element. Replacement Circuit Board with Fuse, Large, Potted (Spade Electrode Connection) (REPLACES: AT93851). This part is associated with Model Series: G9-EXT; G16-EXT; GC6AA-10E; GC10A-4E; GCH6A-10E; GCH10A-4E; GE9-EXT; GE16-EXT; GEH9-EXT; GEH16-EXT. NOTE: This COMBO Board controls BOTH the LP ignition and the Electric Element.